Finding auto parts for old models is a bit difficult. This reason is why finding the right BMW 3.0 parts can prove to be quite difficult. 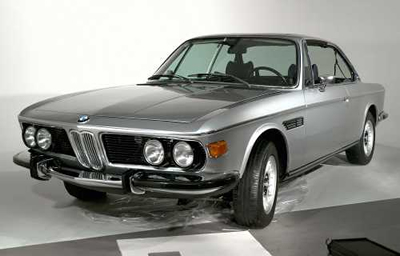 For a vehicle that was first manufactured in 1971, the BMW 3.0 went through its share of design changes from 71' to 75'. Having the ability to search for the exact BMW 3.0 parts you need is essential, to both the individual and the auto repair shop. With over 7,000 parts suppliers in the network, UNeedAPart.com provides our customers with search results based on the criteria they entered. It's accurate, it's fast and it's free! In just seconds, you'll be matched up with a number of parts suppliers with the BMW 3.0 parts you're looking for in stock. You even have the freedom to choose between shops carrying brand new parts or others specializing in quality used parts. With UNeedAPart.com, we provide you with the sources, but you make the decision from whom to order your BMW 3.0 parts! Anybody can use UNeedAPart.com. From the guy doing a tune-up in the back yard to the professional auto repair or body shop, our parts locating service is free to use and extremely effective. Simply fill in the required search information and get your results emailed back to you. It makes the difficulty of locating BMW 3.0 engine a thing of the past. Now, you can easily find your much-needed BMW 3.0 parts. No longer will you have to wait for an automobile dealer to find the parts for you, or be left buying sub-standard parts at a local parts superstore. With UNeedAPart.com, you'll get access to parts suppliers carrying the genuine deal. Quality new and used BMW 3.0 parts to get the job done right! Finding the right BMW 3.0 parts is easy! To get started, simply use the Parts Request boxes at the top and/or side of the page. You will instantly be matched with auto parts dealers that meet your search criteria. UNeedAPart.com helps you find the new or used auto body parts you need in no time!